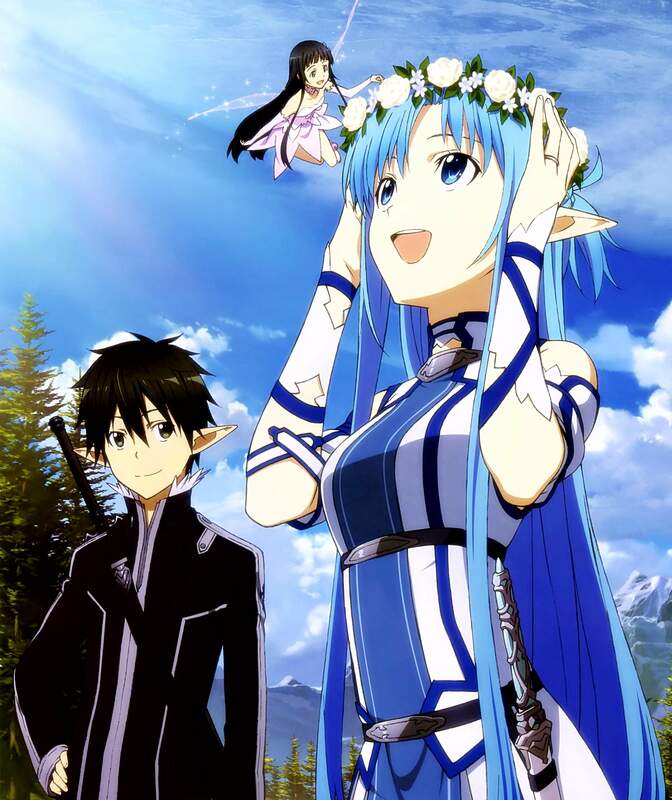 Sword Art Online takes place in the near future and focuses on protagonist Kazuto “Kirito” Kirigaya and Asuna Yuuki as they play through various virtual reality MMORPG worlds. 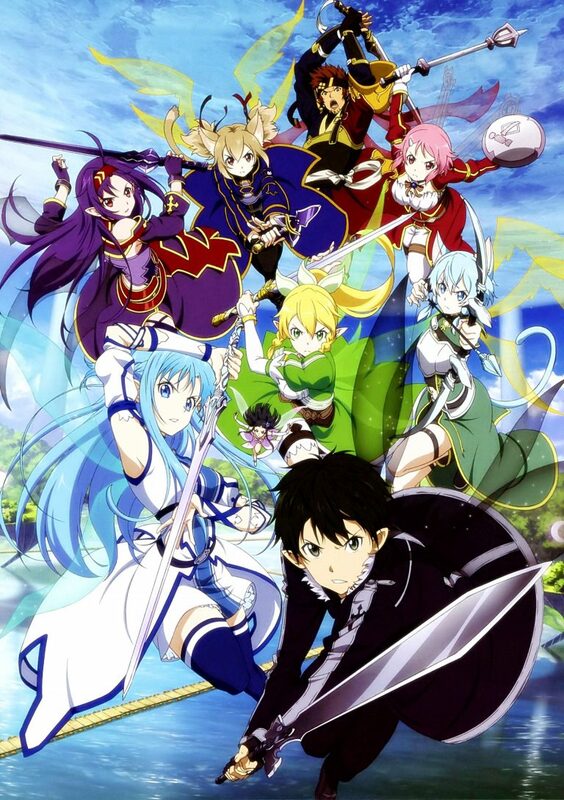 An anime television series produced by A-1 Pictures, known simply as Sword Art Online, aired in Japan between July and December 2012. Both the animation and the music for this series are exceptional. There are some 3D CGI used for a few scenes here and there. I am not sure I understand the backlash Sword Art Online got from some viewers. It is an enjoyable show with great animation and engaging stories and characters. Sure, some plot and characters don’t always pan out, but you take the good and the bad. I think some may be scrutinizing an enjoyable show to the point they no longer enjoy it. If you look for enough negative in everything, then nothing in life is going to be enjoyable for you. I’ll admit the beater plot logic was a little weak. Kirito was being very edge-lord there. Most of the early stories were good, and some not so good. The whole Yui’s mama papa dialogs was a bit cringy. This may be the only anime where I say if fall into both a Harem and Romance genre. The Harem trope is there, where almost every female Kirito meet has a crush on him. However, he only has a romantic interest in Asuna so this also makes it a romance anime. I normally categorize an anime as either Harem or Romance, but rarely ever both. The first story arc was engaging, with some interesting characters. The second half of the season, however, seem to drag a bit. It cranks up the melodrama quite a bit with the brother complex. The fan-services were also more obvious and noticeable. I’ve watched Sword Art Online at least three times already and still find it is mostly enjoyable, despite some of its flaws. Highly recommended for fans that also enjoy playing MMO. Sword Art Online contains moderate violence and suggestive themes/dialogs. Intended for young adults.